Create Renovations is a North Shore team who love living & working here. We're your North Shore local builders and we wouldn't have it any other way. An interesting statistic to note, according to Barfoot and Thompson real estate, the average price of a 3 bedroom property on the North Shore went up 113% between 2005 and 2015, from $406,155 to $866,096. So if you are looking to buy here, it would seem the sooner you can do so the better. 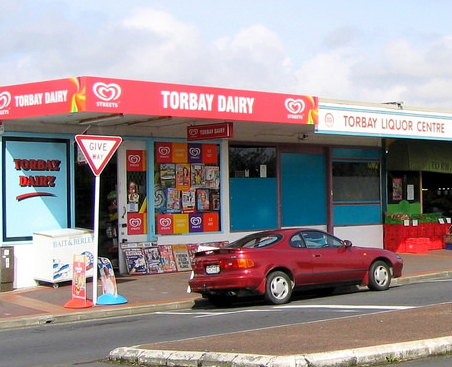 In terms of population, the North Shore is now home to around 250,000 residents and governed by the Auckland (Super City) Council as of 2010. That takes us to another point, let us know if you'd like to find out more about the Council consent process. Read on below to find out what we love about Auckland's North Shore. Once you’ve lived here you’ll agree there’s nothing quite like the North Shore lifestyle. Whether it be the number of coastal walks and beaches like Long Bay and Cheltenham Beach, the outdoor sports activities at Onewa Domain or the cafe culture in Milford - there are plenty of things to do on the North Shore. And our team and their families and friends love to get involved. For example our Director, Cam, and Project Manager, Andy, are regularly getting stuck into local endurance sports such as their latest triathalon (ask them about their times! ), and attending their respective kids’ sports matches around the East Coast Bays and beyond. So if you’ve recently purchased on the North Shore and are looking for new things to do, be sure to ask our team when they come to visit as they’ll have loads of local insights for you! The North Shore also poses some interesting challenges in terms of home renovations, for example the building materials used, exterior cladding, insulation issues, and the council consent process. If you’re thinking of renovating on the North Shore please make sure you talk to qualified tradesmen who understand the area and live locally. There are many quirky tricks that only locals can understand, which will eventually lead to you saving alot of budget as a result! Click the link to find out more about Renovations. 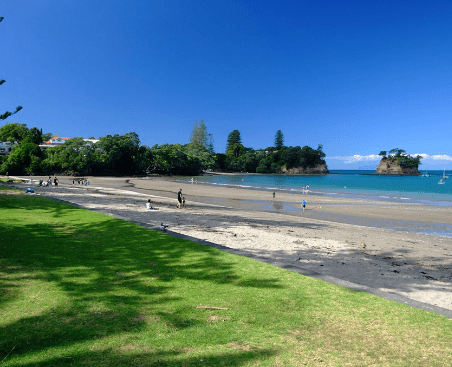 This area is commonly known as ‘The Bays’ and has some of the most beautiful beaches among the 64 official beaches that Auckland boasts. Some of our favourites include Castor Bay, Campbells Bay and Mairangi Bay, due to their safe swimming environment for kids, easy parking, boat ramps for fishing and proximity to Fish n Chips shops (of course). Other notable gems include Browns Bay (check out the ribs at Serengeti) and Long Bay which has seen a lot of housing development recently. Most of our qualified renovations team grew up in the East Coast Bays and have called it home all of their lives. Now seeing their kids growing up here it’s like rediscovering the place again. Some of the key local schools in the area are Long Bay College, Rangitoto College and Westlake Boys and Girls. Our office is also located here in Torbay. If you’d like to learn more about Renovations let us know. Albany is an important North Shore area due to its impact on infrastructure - it has been home to the largest amount of housing development growth over the past 30 or so years, and also significant retail and commercial development. If you ask the average Shore Boy or Girl about Albany, they’ll tell you it is home to the largest mall on the North Shore, followed by a warning to avoid the Albany mall at all costs over the Christmas period - as you’ll likely spend more time trying to find a park than you will shopping! The area is also known for its sporting facilities. North Harbour stadium, which can host up to 25,000 spectators, has been home to many international rugby matches, and was used in the 2011 Rugby World Cup. Go the All Blacks! There are also community sporting facilities such as the Albany tennis park (including indoor courts), the ‘Rim Rocker Park’ outdoor basketball court paid for by Spark (which includes free WiFi). Go for a drive around these areas, and you’ll likely see a Create Renovations sign outside one of our latest renovations projects. We're always getting calls and emails from the local residents looking for a quote, due to our previous successful jobs in the area. I tell you what, word sure does get around! If you’d like to check out some of our latest renovations, visit our Project Gallery by clicking the link. 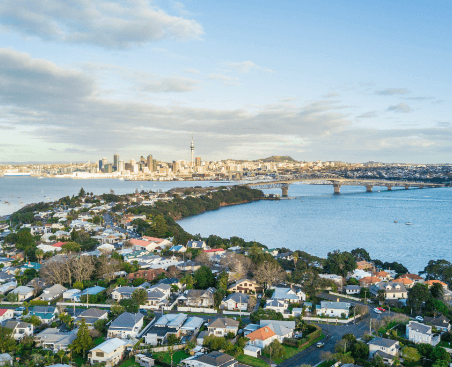 The likes of Northcote Point, Birkenhead and Coastal Beach Haven boast some of the best views of Auckland City on offer outside of Devonport. Looking at these coastal areas there are some real bargains to be had in terms of property pricing as well. These houses are very enjoyable to renovate, because we can see the amazing potential of this area, as the local community continues to develop the shopping areas. Birkenhead in particular has become known as a destination area due its great restaurants, cafe’s and bars. Our favourite pub's are the Birkenhead Brewing Company, or BBC, due to their locally brewed beers. 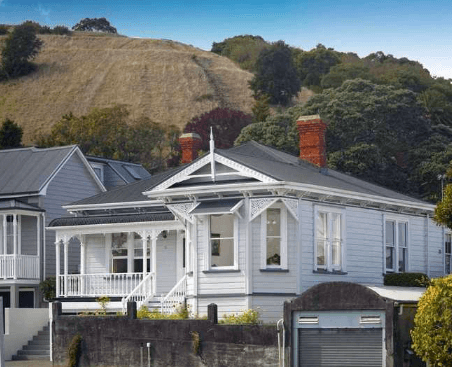 The traditional villas of Devonport and their kauri weatherboard cladding make for timeless renovations (once the cold drafts and moisture issues are addressed of course). They also add to the great scenery in Devonport as do the many parks, mountains, vibrant village and beaches. Devonport is neighboured by Stanley Bay, which was once a Kauri Forest that was chopped down in the late 1800’s to use as material to build the Devonport homes. In terms of beaches, make sure you visit Cheltenham Beach, one of the most photographed spots in New Zealand, but don’t go swimming at low tide, as you’ll have to walk half way to Rangitoto to get the water above your waist! Narrow Neck beach is another popular spot for beach barbeques and beach volleyball during the summer. Takapuna Beach, with it’s multi-million dollar children’s playground and close proximity to local cafes and restaurants is another local favourite for wind surfing, beach walks and exercise. 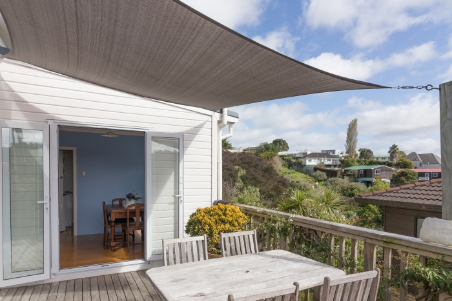 Takapuna also plays host to the Takapuna branch of the Auckland City Council, where you can find out more about renovating your home and the ins and outs of consent. But if you’re working with us, don’t bother, as we’ll take care of that for you.